Chef and owner of Babalu, Alan Gotay looks out of his bustling kitchen, where the tastes of Cuba and the Mediterranean produce dishes that are simple, refined and just plain tasty. Classic baked Empanadas are shown with the Guava Plate, a medley of sweet and savory sensations, alongside a non-alcoholic refreshing sangria. 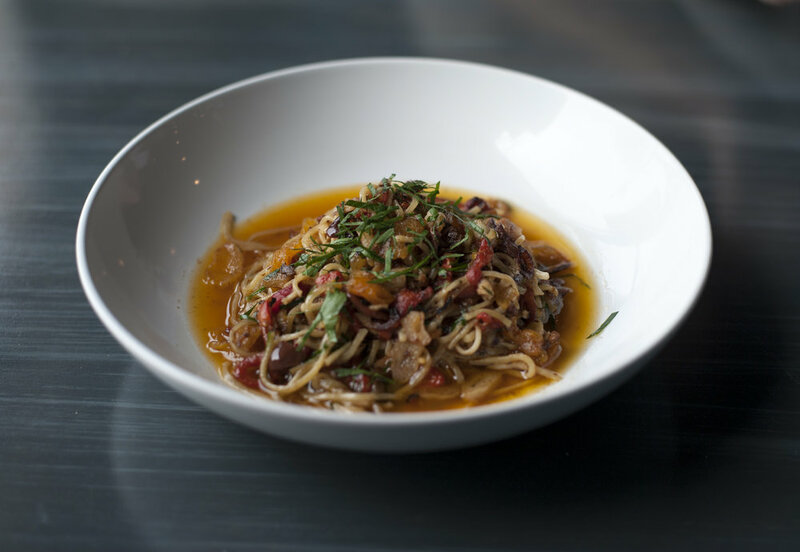 La Bamba showcases homemade linguine with fire-roasted red peppers, Kalamata olives, sardines and dried apricots, stepped in an olive oil and white wine sauce, for an entree that stacks bold taste for a comprehensively satisfying meal. The Mediterranean Red Snapper brings together fillet of red snapper served with red beet beurre blanc sauce, topped with olives, golden raisins and mushrooms for a rich and complex dish. The Dulce De Leche Cheesecake is mildly sweet and sits on a Nilla wafer crust that’s both decadent and delicious. Taking a cue from the drink enjoyed by millions, the Homemade Malta Ice Cream is a unique gem, imbues the comforting classic into an ice cream topped with Nilla wafers.